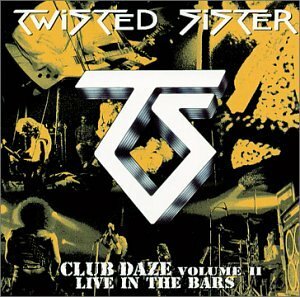 This is the most recent information about Twisted Sister that has been submitted to amIright. 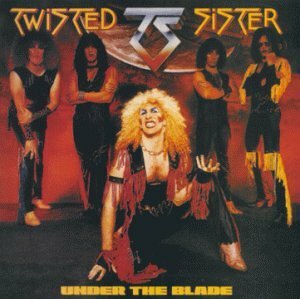 If we have more information about Twisted Sister, then we provide a link to the section where it appears (the actual page whenever possible). 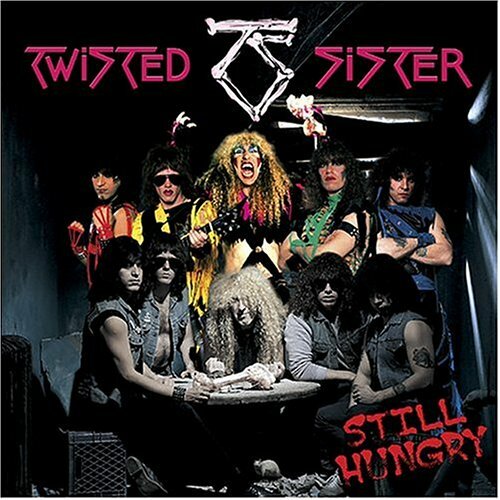 When Twisted Sister didnt really have a name and they were performing, a drunken old man at the end of the show came up to them and said "You guys look like a bunch of twisted sisters", because of the way the members were dressed in drag. 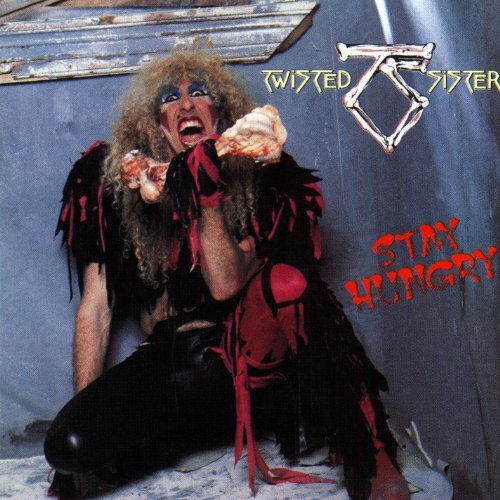 Submitted by: JE$$IE R.
Twisted Mister Dee Snider as a GUY in drag!!! Robert D. Arndt Jr.
"The Ids Are Back" originally "The Kids Are Back"
"The Rice" originally "The Price"
"Burn In Shell" originally "Burn In Hell"
"Burn In Hello" originally "Burn In Hell"
"We're Not Gonna Take Zit" originally "We're Not Gonna Take It"
"The Prince" originally "The Price"
"I Wanna Frock" originally "I Wanna Rock"
"I Wanna Sock" originally "I Wanna Rock"
"I Wanna Hock" originally "I Wanna Rock"
"I Wanna Mock" originally "I Wanna Rock"
"I Wanna Lock" originally "I Wanna Rock"
"I Wanna Dock" originally "I Wanna Rock"
"I Wanna Rock" "Where's My Left Sock?" Robert D. Arndt Jr.
"We're Not Gonna Take It" "Heather Locklear Naked" Robert D. Arndt Jr.
"We're Not Gonna Take It" "Trump's Not Gonna Take It" Robert D. Arndt Jr.
"We're Not Gonna Take It" "They're Not Gonna Make It" Robert D. Arndt Jr. I'll Never Grow Up, Now! Super Nanny (TV show) Ryan J.
I'll Never Grow Up, Now! The Kids Next Door (TV Cartoon) Ryan J. Love Is For Suckers Dating Service Ryan J. Run For Your Life Dating Abuse Recovery Helpline Ryan J. 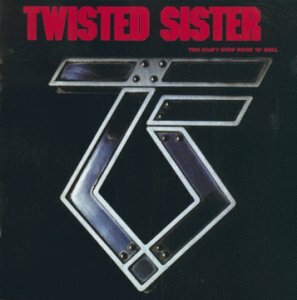 There are additional Twisted Sister Combined Groups that haven't been done yet available. It was that I hear on the radio. About this song: "I Believe in You" is track #7 on their fourth studio album, "Come Out and Play", released on 9 November 1985. "Come Out and Play" was less successful than its predecessor, "Stay Hungry" (1984), both critically and commercially. However, "Come Out and Play" featuring the album's major hit, a cover of the Shangri-Las song, "Leader of the Pack", reaching #32 on Billboard's Mainstream Rock Chart, #47 on the UK Singles Chart, #53 on Billboard's Pop Chart, and #80 on Canada chart. I don't get this! This 'three drink lunch' thing is just so out of place! The video for this song not only features Mark Metcalf from Animal House, reprising his Neidermayer-type role as an abusive mean teacher (he also appeared in the video for "We're Not Gonna Take It" in a similar role as an abusive parent), but it also features Stephen Furst from the same movie (the Animal House character Flounder), saying, "Oh boy, is this great?" as he squirts water at the mean teacher at the end of the video. From the band's 1984 Stay Hungry album. We're not gonna take it. No, we ain't gonna take it. We're not gonna take it anymore. "Burnin' Hell" originally "Burn In Hell"
"Street Just Ice" originally "Street Justice"
Freezing rain. Good time not to drive. Dressiest Twit Submitted by: Robert D. Arndt Jr. I wonder if they do...? "Take Note On Watering" originally "We're Not Gonna Take It"
"Not To Generate A Wink" originally "We're Not Gonna Take It"
"Now Integrate A Token" originally "We're Not Gonna Take It"
Ranked high on the PMRC's Filthy Fifteen due largely in part to it's violent lyrical content. 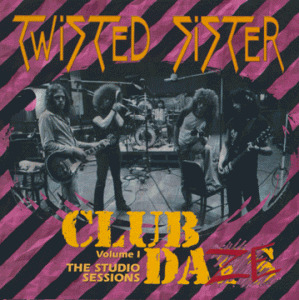 Cysted Twister originally "Twisted Sister"
"We Represent The Lollipop Girl"
Hidden track on the Stay Hungry album, this acapella belter only lasts 30 seconds. 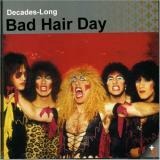 Dee Snider's voice has been distorted to sound more like Frank Zappa's Central Scrutinizer than anything else in music. Outside the applicable for Am I Right box, think of the aliens from the Toy Story films. Dee sings "F*** you, we welcome you to munchkin land," and goes into the ongoing chorus line "We represent the lollipop girl." Best secret trackever, apart from that untitled one on Jagged Little Pill which I will write about as it is another interesting song done acapella. in every TS tape card liner there is a paragraph that recommends how the listener should set up the stereo (bass, treble, etc.) for maximum full-spectrum audio enjoyment and listening pleasure, and so on and on... Then the last sentence in the paragraph sums it up by saying in other words to PLAY IT LOUD, MUTHA! "Dee Snider's appearance in a video game." In 2001, Twisted Sister lead singer Dee Snider appeared in a video game called "Jak & Daxter: The Precursor Legacy". The game was popular but Dee never made another appearance in the series because his character was killed. Submitted by: I Wanna Rock!